Martin Thomas, who sits in the House of Lords as Lord Thomas of Gresford, is our Shadow Attorney General. I mentioned his title because he hails from a small town near Wrexham and has been actively involved in Welsh politics since the 1960s. So who better to call out Andrea Leadsom’s bizarre assertion that farmers with “big fields do the sheep, and those with the hill farms do the butterflies”. It is with a fine sense of irony, mingled perhaps with some contempt for farming interests, that the new Prime Minister has appointed Mrs Leadsom, a lady who campaigned for the leadership of the Tory party on the basis of her experience in finance in the City since 1984. In 2007, Mrs Leadsom demanded that farm subsidies be abolished. That would not be good for food production and for the environment, and it would lay waste upland Wales. The badger cull has always been controversial. It has set wildlife groups and animal lovers against farmers. Many argue that it is being pursued against scientific opinion. And now the cull is struggling to meet its targets. The shooters in Somerset should have delivered 1,015 cadavers but so far they have piled up just 600. What is going wrong? Defra chief Owen Paterson told the BBC: “the badgers have moved the goalposts.” Shame on badgers for not cooperating with a scheme to kill them! This trial is not about increasing our scientific knowledge of bovine TB in the badger population. If that was the case, the government would be testing the carcases for TB. It is not. We will never know whether the dead brocks were disease carriers. The trial is about the efficacy of shooting. And the result is that it is not efficacious. David Heath has been sacked as Minister of State for Agriculture and Food at Defra. In his place is North Cornwall Lib Dem MP Dan Rogerson, but at the more junior position of Parliamentary Under Secretary. I am very aware of the pressure on you within Defra over the last year, and I am particularly grateful to you for the clarity and objectivity you have brought to issues of animal and plant disease, your defence of environmental issues, your commitment to agriculture and rural areas, and the development of new and exciting policies to enhance our forests. The speech today by Owen Paterson, Secretary of State for the Environment makes it clear that he is intent on promoting the use of GM crops in Britain – and to do so by acting as a cheerleader for an industry which has consistently promised much over the last twenty years and yet failed to deliver. It follows hard on the heels of that of the Science Minister, David Willetts, as the latest attempt by the Tories to go beyond the Coalition Government’s agreed policy on GM crops. Much of my work in the Department for the Environment, Food and Rural Affairs centres on the last two parts of the title, so it’s good just occasionally to be able to make a difference on the other part of the agenda, the environment. I had just such an opportunity last week when I represented the United Kingdom at the meeting of CITES, the Convention on International Trade in Endangered Species. Owen Paterson’s announcement on the delay of the badger cull is good news for badgers and for the Liberal Democrats. A new term and the Government looks set to walk straight into a public relations disaster. 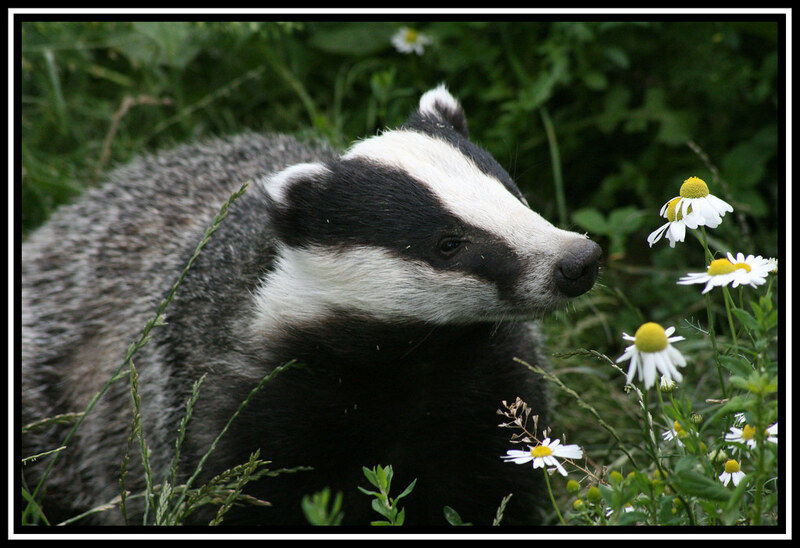 In a bid to ‘manage’ the spread of bovine TB, Defra will commence a badger cull starting in two areas of the South West – West Somerset/Taunton Deane and in the Forest of Dean/Tewkesbury. It is not just the pictures of indiscriminate shooting and maiming of an icon of the British countryside which will be so damaging for the Government; it is the fact that the cull is based on flawed science. This is an ill-conceived policy. Defra has today launched its Hospitality and Food Service Agreement. This is a new voluntary UK-wide agreement with caterers, pubs, hotels and restaurants to reduce food and packaging waste by 5% and to increase the rate of recycling, composting or anaerobic digestion to 70% (it’s currently around 47%). While we as Liberal Democrats should welcome this and recognise the positive environmental impact it will have, the Government could and should be going much further on food. Many of you will have seen the news yesterday that common buzzards may be at risk following anecdotal evidence from the shooting industry that buzzards, which usually scavenge dead animals, may be eating some of the 40 million young pheasants that are released each year for shooting. Why did the Government drop its proposals for the Forestry Commission (FC) and the forests and woodlands it manages? I thought it would happen but I was astonished by the speed of it. It comes down to three things. An ill-considered and foolish policy. Incompetent presentation. And a stupendously successful and largely under the radar campaign which burst through with stunning effect. A new campaign against Defra’s environmental budget cuts, which has meant a 7% cut to British Waterways funds in the last year with the loss of 180 jobs, has been announced. “These redundancies show Defra’s budget cuts beginning to bite. Our canal networks will suffer as a result, together with a whole range of environmental and rural services.